This homemade costume for adults entered our 2017 Halloween Costume Contest. 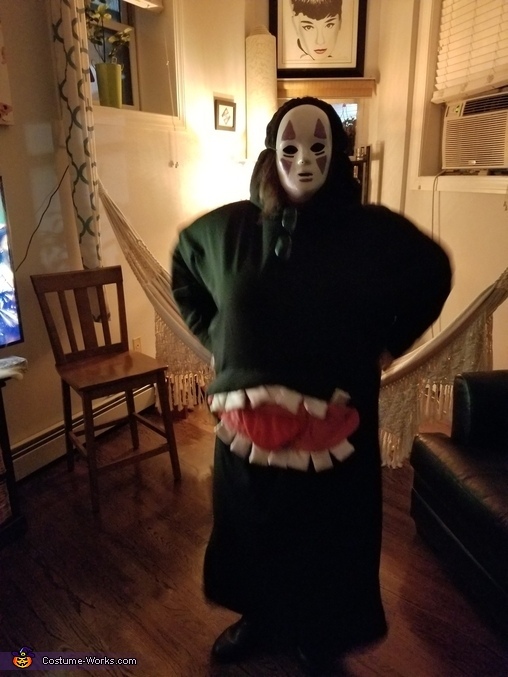 No face from spirited away. My friends mother used a photo as a reference and created it from scratch.